GB SYSTEMS, INC. is a Commercial HVAC contractor member of the Sheet Metal Workers Union Local 66. Our specialties are design build and tenant improvement projects including office buildings, hospitals, restaurants, schools and a number of commercial applications. Our well established HVAC Service and Maintenance department and NEBB certified Test, Adjust and Balance department round out our portfolio of services making us a true full service contractor. Our reputation has been diligently earned and we pride ourselves on quality service and responsiveness as well as our ability to offer innovative and cost saving alternatives for your project. Our completed projects roster includes a wide variety of building types and sizes, from 2,000 sq ft retail spaces to 1,000,000 sq ft office parks. We are also experienced in specialized systems and requirements for restaurants, hospitals, and schools, etc. 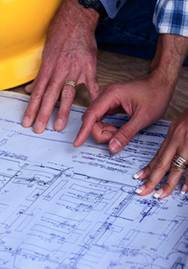 Our skilled engineering staff can provide you with a professional and efficient plan designed to meet your specific needs. We believe that a collaborative and cooperative development team is the key to a quality product. Based on this belief, we have worked hard to establish ourselves as a preferred subcontractor with many of the general contractors and property managers in the Puget Sound area. Our positive relationship with these individuals and firms has been an important factor in the professional and expedient completion of our projects.